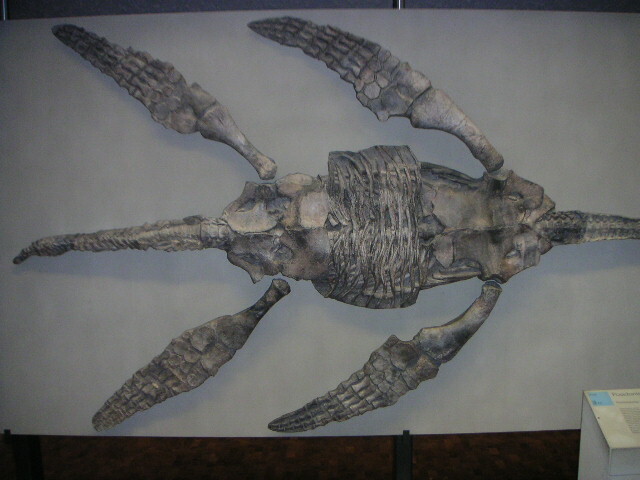 M. victor was originally described and figured by Fraas (1910). 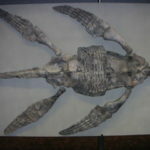 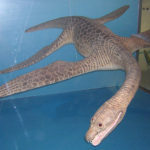 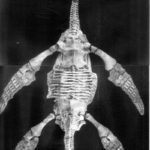 Historically, M. victor has been regarded as a species of Rhomaleosaurus and is often associated in the literature under the defunct name ‘Thaumatosaurus’. 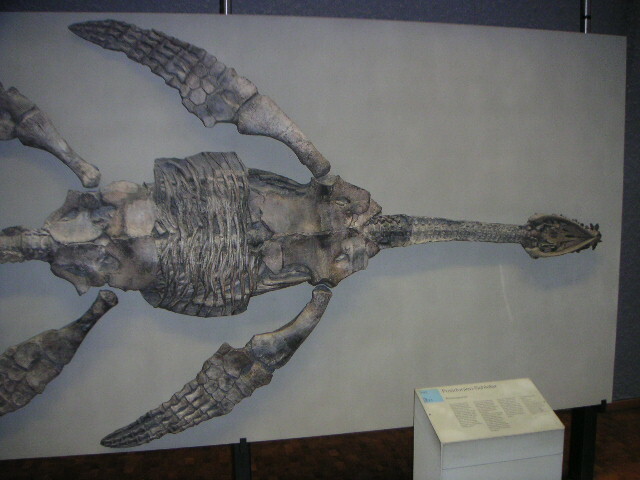 Smith and Vincent (2010) identified M. victor as generically distinct from Rhomaleosaurus and erected the new name Meyerasaurus for it (Smith and Dyke, 2008). 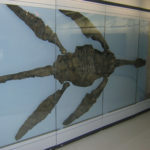 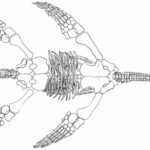 The holotype specimen, SMNS 12478, is a complete articulated skeleton from the Posidonien-Schiefer, Holzmaden, Germany. 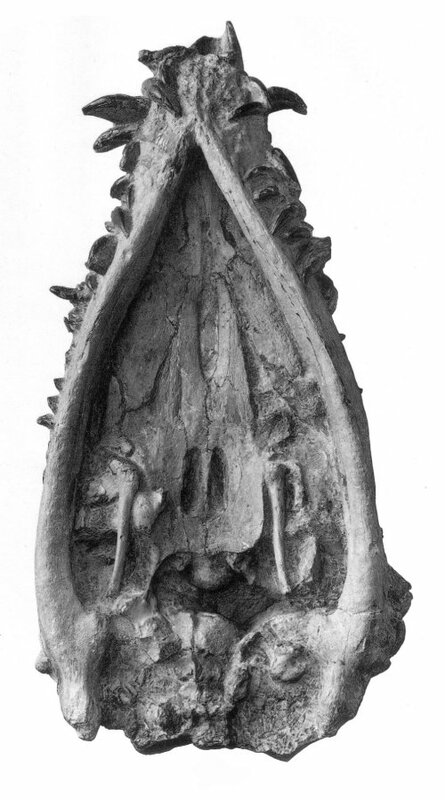 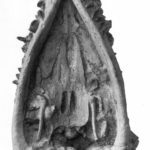 Detail of the skull of the holotype of Meyerasaurus (from Fraas, 1910). 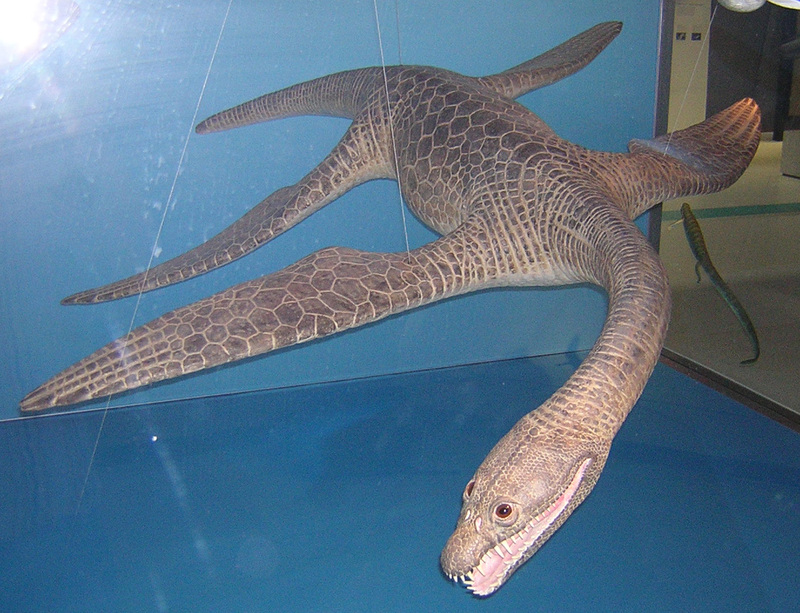 Meyerasaurus model in the SMNS. 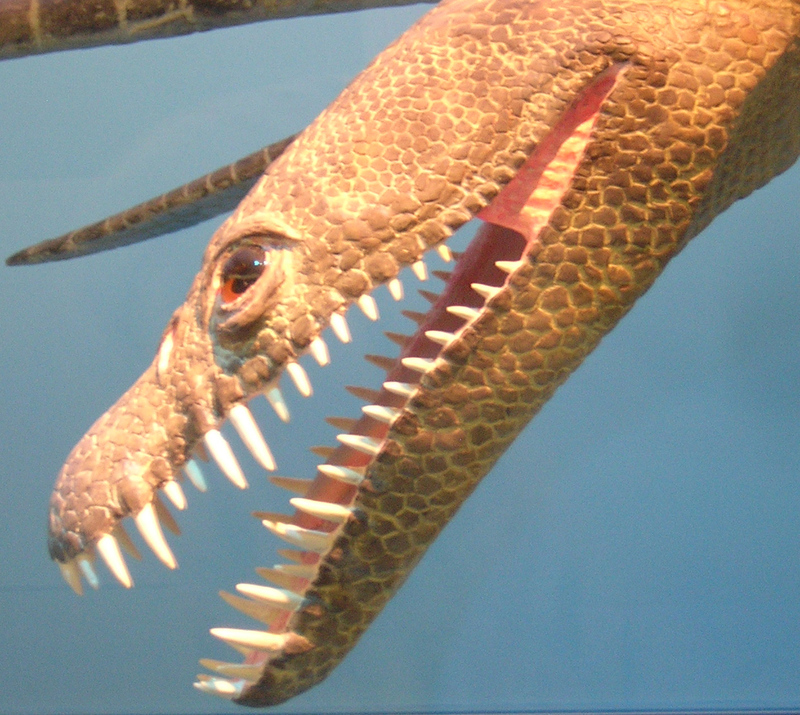 Head of a Meyerasaurus model in the SMNS. 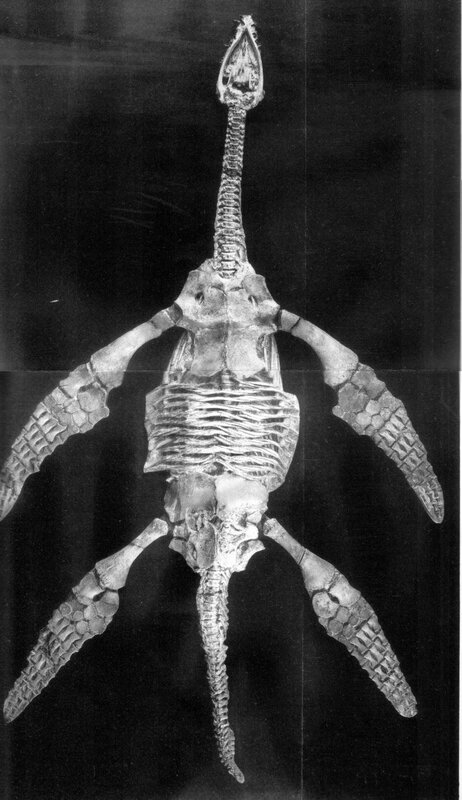 The holotype of Meyerasaurus (from Fraas, 1910). 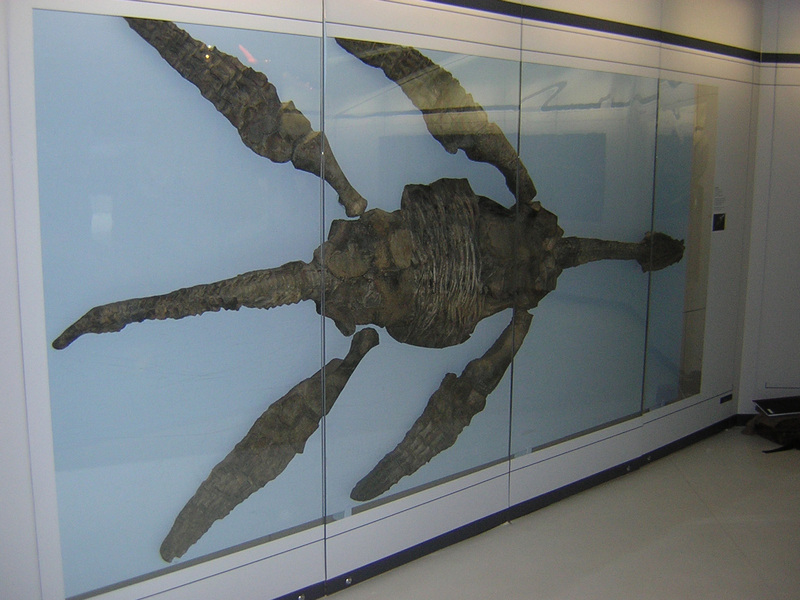 The holotype of Meyerasaurus currently on display in the Staatliches Museum für Naturkunde Stuttgart (Löwentor-Museum). 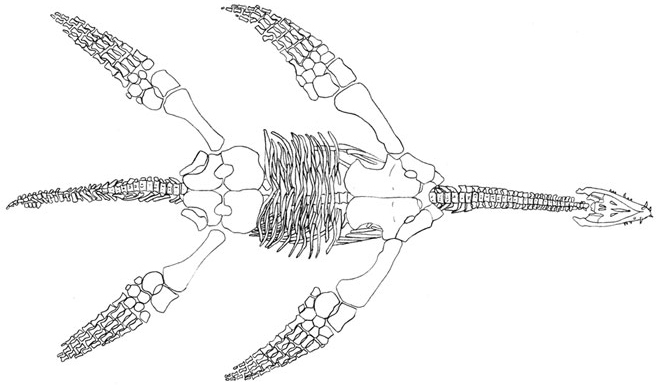 Skeleton of Meyerasarurus in ventral view. 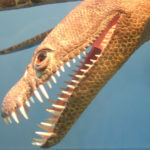 By Adam S. Smith. 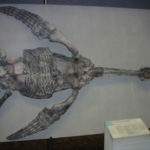 Cast of Meyerasaurus in the Tubingen Museum, Germany.